Silver has been known for its antibacterial properties since thousands of years but its use in advanced wound care has been fairly recent. Wound dressings with silver are strongly antibacterial and help bring down wound bacteria count. Silver wound dressings provides a moist wound environment which promotes wound recovery. Topical antimicrobial silver dressing is apt for the treatment of infected wounds and especially found to be most effective in wounds with bioburden or local infection and at risk of it. 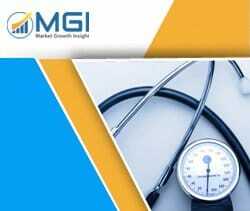 This report studies the global Silver Dressings & Bandages market status and forecast, categorizes the global Silver Dressings & Bandages market size (value & volume) by manufacturers, type, application, and region. This report focuses on the top manufacturers in North America, Europe, Japan, China, and other regions (India, Southeast Asia). Focuses on the key Silver Dressings & Bandages manufacturers, to study the capacity, production, value, market share and development plans in future. Regional and country-level analysis of the Silver Dressings & Bandages market, by end-use.